Info "No man has a right in America to treat any other man tolerantly, for tolerance is the assumption of superiority." 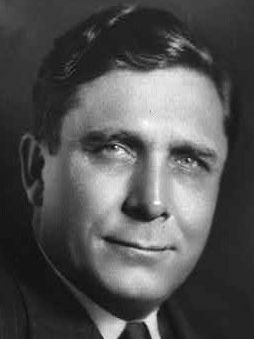 Wendell Lewis Willkie was the Republican nominee for the 1940 presidential election, defeated by Franklin D. Roosevelt. He was born in Elwood, Indiana on February 18, 1892. Originally a Democrat, Willkie switched parties in 1939 in opposition to Franklin D. Roosevelt's New Deal. Willkie campaigned against the New Deal and the government's lack of military preparedness. During the election, Roosevelt preempted the military issue by expanding military contracts. Willkie then reversed his approach and accused FDR of warmongering. On election day Roosevelt received 27 million votes to Willkie's 22 million, and in the U.S. Electoral College, Roosevelt defeated Willkie 449 to 82. After the election, Willkie became one of Roosevelt's most unlikely allies. To the chagrin of many in his party, Willkie called for greater national support for controversial Roosevelt initiatives such as the Lend-Lease Act and embarked on a new campaign to awaken America from its isolationist slumber. On July 23, 1941, he urged unlimited aid to the United Kingdom in its struggle against Nazi Germany. That same year he traveled to Britain and the Middle East as Roosevelt's personal representative, and in 1942 visited the USSR and China in the same capacity. In 1943, Willkie wrote One World, a plea for international peacekeeping after the war. Extremely popular, millions of copies of the book sold. The book helped to bring the U.S. out its isolationist slumber. Also in 1943, together with Eleanor Roosevelt and other Americans concerned about the mounting threats to peace and democracy, Willkie helped to establish Freedom House. In the 1944 presidential election Willkie once again sought the Republican nomination, chosing his wife's hometown, Rushville, Indiana, as his campaign headquarters. But his liberal progressive views gained little support due to the rightward shift of the Republican Party. Willkie did not support the eventual 1944 Republican nominee, Thomas Dewey. After surviving several heart attacks, Willkie finally succumbed, dying on October 8, 1944 at age fifty-two. Eleanor Roosevelt in her October 12, 1944 My Day column eulogized Willkie as a "man of courage.... (whose) outspoken opinions on race relations were among his great contributions to the thinking of the world." She concluded, "Americans tend to forget the names of the men who lost their bid for the presidency. Wilkie proved the exception to this rule." Wilkie is buried in Rushville, Indiana.